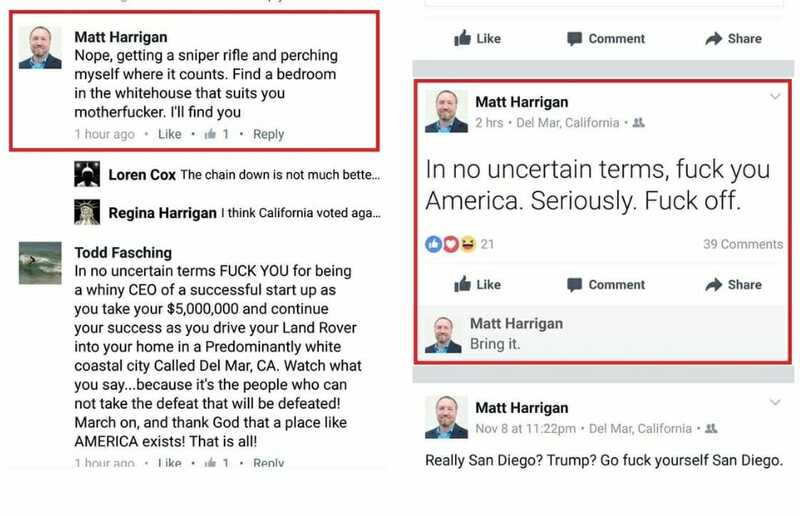 CEO Matt Harrigan threatened to kill Donald Trump with a sniper rifle Sunday online. 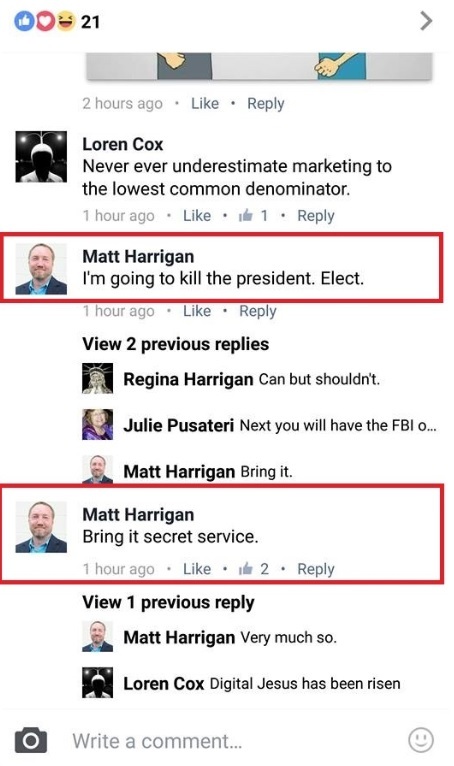 Matt Harrigan is the CEO of PacketSled and Critical Assets is calling for an assassination. Call the police, FBI, and the Secret Service! RIGHT NOW! Harrigan talked about using a sniper rifle. 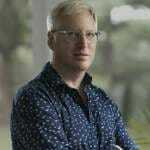 Harrigan later resigned from Packetsled. 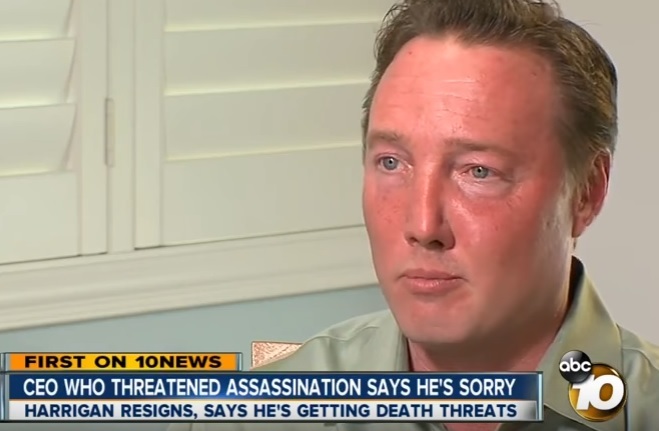 Steve Harrigan is now whining to reporters. He said his life is completely turned upside down. He is in hiding with his family until things calm down.